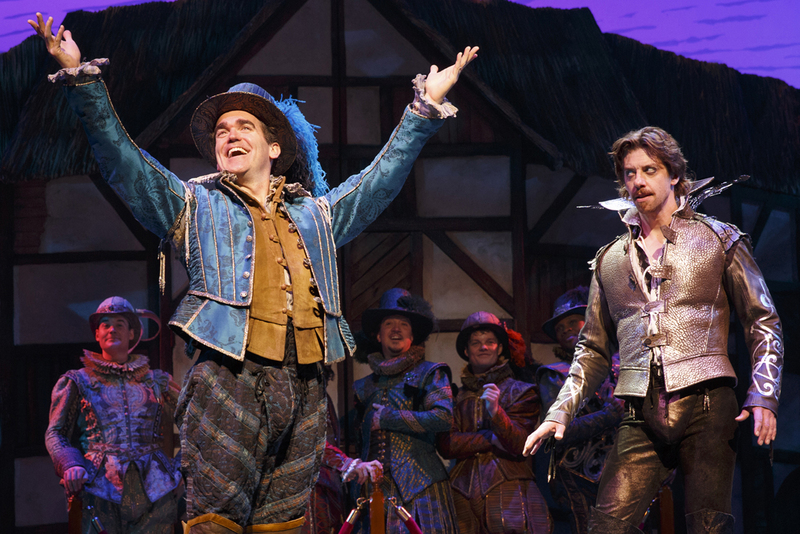 Bringing the best of the 1590s and today to the stage, “Something Rotten!” is finding major success on Broadway and is nominated for 10 Tony Awards this Sunday. The show follows the story of brothers Nick and Nigel Bottom (Brian d’Arcy James and John Cariani, respectively), whom are struggling to write a new hit play in a time dominated by the works of William Shakespeare (Christian Borle). After meeting with an odd soothsayer named Nostradamus – not THE Nostradamus, but his nephew (Brad Oscar) – the brothers decide to do something that has never been done before – write a musical (the world’s first musical). While struggling to write the musical, the brothers are constantly condemned by Brother Jeremiah (Brooks Ashmanskas), a Puritan. The brothers choose to ignore him, but Nigel ends up falling for his daughter Portia (Kate Reinders). In true Broadway spirit, Reinders says the cast and crew is thrilled to be nominated for so many awards, but will not let that affect their performance. Teenage girls will be able to relate to Reinders’ character since, despite her Puritan upbringing, she completely fangirls over Shakespeare. In the show, Shakespeare is portrayed as a rock God and has people freaking out about him as if he is one of the members of One Direction. However, Reinders does not find it hard to bring on that fangirl mentality. Audiences young and old will enjoy the theater references that make up a good portion of the jokes in the show. There’s everything from Shakespeare references, including “Hamlet” and “Romeo and Juliet” jokes, to popular musical theater references, people will find it easy to point out “A Chorus Line” and “The Phantom of the Opera” jokes among others. Some may even notice how the actors embody the spirits of other Broadway greats. Throughout the show, Reinders clearly channels Kristin Chenoweth’s energy and comedic skills. Tune in to CBS at 8 PM this Sunday to find out the results of the 10 Tony nominations, including Best Musical, and to see a performance by d’Arcy James, Borle, Oscar and the cast. “Something Rotten!” is currently playing at the St. James Theatre and its cast recording is available on iTunes.